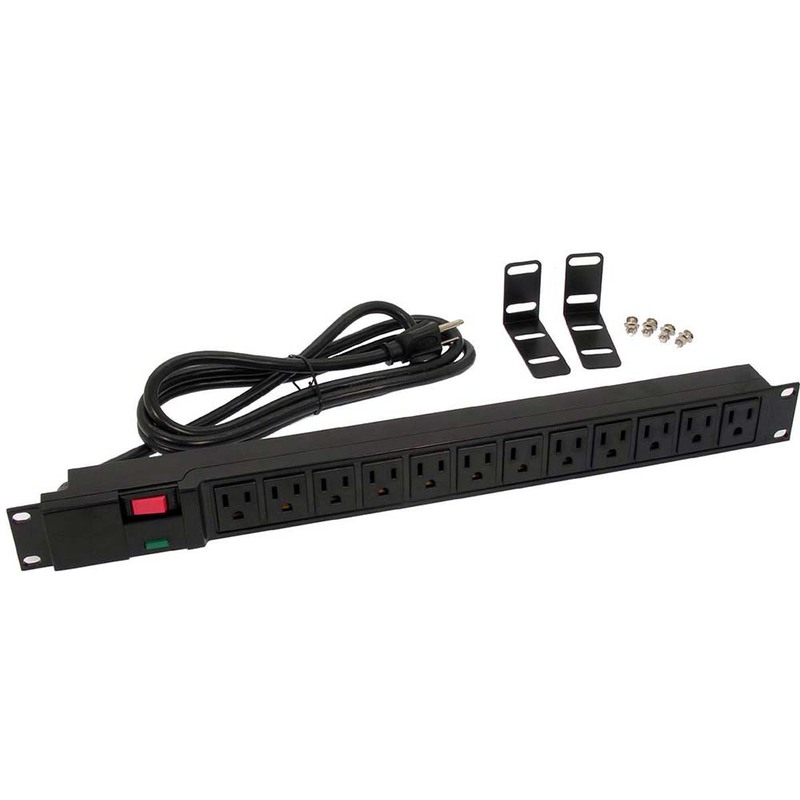 This 19-inch 1U rackmount power delivery unit easily and quickly adds twelve 3-prong outlets (NEMA 5-15R) and up to 12 amps of power to any 19-inch server/network rack. This particular unit is encased in black plastic, UL listed, and RoHS compliant. It is rated for 120VAC, 15/60Hz, 15 amps and 1875 watts, individual receptacles are limited to 12 amps. The power cord is a 6 foot long 14/3 SJT with a NEMA 5-15P/ 3-prong plug. It includes a 15 amp breaker for extra protection. Includes horizontal and vertical mounting hardware.